The ADLINK NFV solution features Wind River® Titanium Server™, the industry's first fully integrated & feature-complete NFV infrastructure software platform, available on ADLINK’s SETO-1000 extreme outdoor server and Modular Industrial Cloud Architecture. ADLINK Technology, a leading global provider of Application Ready Intelligent Platforms (ARiPs) and compute building blocks that enable the Internet of Things (IoT), today announced a pre-integrated network functions virtualization (NFV) platform designed to enable telecom equipment manufacturers (TEMS) and communications service providers (CSPs) to accelerate production of NFV deployments. The ADLINK NFV solution features Wind River® Titanium Server™, the industry's first fully integrated and feature-complete NFV infrastructure software platform, available on ADLINK’s SETO-1000 extreme outdoor server and Modular Industrial Cloud Architecture platform. The complete NFV infrastructure offering is designed to deliver optimized media processing and communications for today’s bandwidth-intensive applications. ADLINK’s Modular Industrial Cloud Architecture is an Application Ready Intelligent Platform (ARiP) for industrial cloud computing that adopts an innovative modular design for upgraded scalability and flexibility. 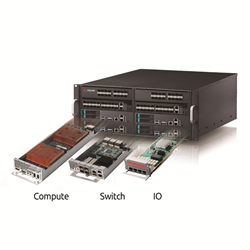 Customers can choose from different functional modules (compute, switch, storage, and IO modules) depending on their specific application requirements to build a highly tailored computing platform. The hybrid design allows customers to mix and match between 1/4 and 1/2-width slot compute nodes in order to scale the number of independent systems with different processing capacities in the platform, as needed. Titanium Server is a carrier grade NFV infrastructure software solution that is designed to meet the stringent "always on" requirements of the telecom industry. Based on open standards including carrier grade Wind River Linux, real-time Kernel-based Virtual Machine (KVM), OpenStack®, and Data Plane Development Kit (DPDK), while incorporating optimizations for Intel® architecture, Titanium Server delivers high performance and carrier-grade reliability. For more information on Titanium Server, please visit http://www.windriver.com/products/titanium-server/. ADLINK is also a member of the Wind River Titanium Cloud partner program, which provides an ecosystem of optimized, interoperable standard solutions based on Titanium Server to accelerate time-to-market for service providers and TEMs deploying NFV infrastructure. For more information on ADLINK’s NFV solution, please visit http://www.adlinktech.com/ModularIndustrialCloudArchitecture/ and http://www.adlinktech.com/mobile_edge_computing/. Intel and Xeon are registered trademarks of Intel Corporation in the United States and other countries. All other trademarks are the property of their respective owners.